The office of college relations has primary responsibility to advance understanding and support of Reed College among key internal and external audiences, including alumni, parents, current and prospective students, community leaders, media, elected officials and governmental entities, corporations and foundations, and other friends of the college. For more than 20 years, Hugh Porter has helped to determine and support Reed College's institutional priorities and aspirations. 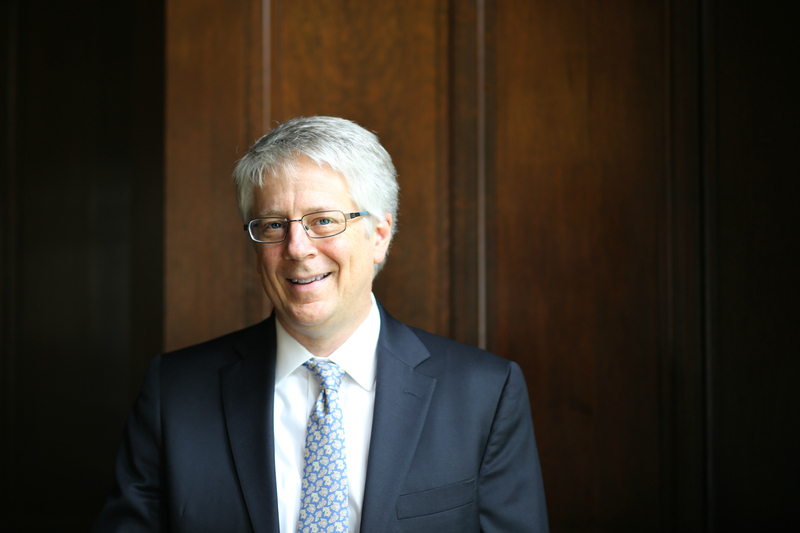 In 2018, the board of trustees selected Hugh Porter, vice president for college relations, to serve as Reed’s acting president during the presidential search process. Porter's leadership has led to significant advancements in the breadth and depth of the academic program, substantial increases in financial aid for students, and important funding for changes to the built environment. As one of six vice presidents involved in the management of the college, he is the chief liaison to Reed’s 30-member board of trustees (and 20 emeritus trustees) and works with the college president to recruit new trustees. In addition to being responsible for the college’s fundraising efforts, Porter oversees alumni programs, communications and public affairs, conference and events planning, and the Center for Life Beyond Reed, which helps students prepare for their lives after graduation. Porter planned and spearheaded the largest fundraising effort in Reed’s history, which concluded in December 2012 with more than US$203 million raised. Working with the college president and dean of the faculty, Porter supported the design of Reed’s recent comprehensive strategic planning process, the conclusions of which have launched efforts to strengthen the academic program, ensure long-term financial stability, enhance student engagement and support, and promote greater diversity within the campus community. Porter came to Reed in 1998 from Yale University where he held a senior position in Yale’s development office. He holds both a bachelor’s degree and a master's degree in music history from Yale and is an accomplished cellist.